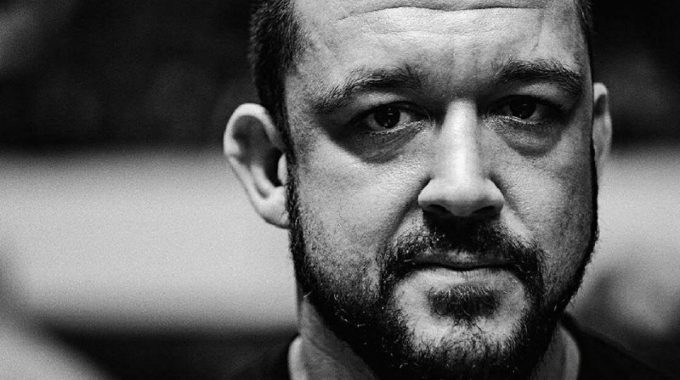 Tom DeBlass is well-known in both the grappling and MMA worlds. He focuses on no-gi, with a speciality in foot-locks, but is still an exemplary gi practitioner, having earned his black belt from Ricardo Almeida. He had a successful run in MMA, earning the Ring of Combat heavyweight title in 2012, before retiring from the sport later that year and then coming out of retirement to fight in the Bellator organisation for two events. He currently has no future ambitions to fight again in MMA and seeks to focus on teaching and coaching his students. One such student is Garry Tonon, who happens to be one of the best grapplers in the world currently competing. Like many of those who eventually find grappling and/or fighting, Brazilian jiu-jitsu was not Tom DeBlass’s first foray into martial arts. Again, like many others, it was a striking martial art that he was first involved with. Taekwondo. He began training Taekwondo at the tender age of 5 and training on and off for around 13 years. He would eventually come just shy of earning his black belt in the art, earning the red belt and then stepping away. Whilst still training in Taekwondo, DeBlass would fall in love with the sport of track and field in his teens. He competed regularly and had a speciality in the long jump, even going as far as to become one of the best long jumpers in his state. Tom had a very harsh upbringing which he has been open and upfront about in multiple interviews. His father suffered from substance abuse issues which plagued the family and household and just made Tom’s childhood and adolescence tough and unpleasant. With all of his youthful exuberance coupled with a tough home life, Tom needed something to channel all of that negativity and turn it into something good. That something happened to be both Taekwondo and track and field for a long time. At the age of 18, Tom suffered an injury that effectively stopped him from training and competing in track and field. He tore most of the ligaments in tendons in his foot which as you might expect, are pretty vital in being able to do track and field. This was also around the same time that he quit training Taekwondo as well, though it’s unclear whether it was this same injury that caused him to leave. Having spent most of his teens competing, and competing at a high level, there was somewhat of a void left in his life. He suddenly had a lot more time and a lot more energy to dedicate to something new. At 19, he found that something new in the gentle art of Brazilian Jiu-Jitsu. Despite grappling having the potential to be quite rough on the human body, Tom was able to train and compete around his injury in ways that would’ve been impossible if he had carried on with track and field. He initially started his training with Eric Colon but did not stay at his gym for very long before moving to train under Ricardo Almeida. He came to the “Big Dog” as a white belt with very little training under his belt but was soon promoted to blue belt and quickly worked his way up to the coveted black belt after only 6 years of training. During this time, Tom went to college at Monmouth University, where he earned his degree in Special Education and Elementary Education. Upon graduation, Tom briefly worked as a school teacher but ultimately found that school teaching wasn’t for him. Though with his degree in education and experience in school, he would learn valuable lessons and gain crucial knowledge that he would eventually use to open up his own jiu-jitsu school and make it a huge success. Whilst training under Almeida and studying at college/working as a school teacher, DeBlass would continue to compete regularly and enjoy a fairly high level of success. Eventually, at the age of 24 and after earning his black belt, he broke away from Ricardo Almeida’s school to open his own jiu-jitsu academy. At Ocean County Jiu-Jitsu, Tom’s academy, he would bring all of his grappling knowledge together and combine it with everything he had learned in the teaching environment so that he could break down the complexities of jiu-jitsu and make it simple and accessible so that even the most hard cases students can excel. Just because someone is a great competitor, it doesn’t mean that they’re going to be a great coach and vice versa; just because you’re great at teaching, it doesn’t necessarily mean that you’ll be personally successful in your chosen arena. In fact, this is often true. Tom DeBlass bucks this trend completely: He has become one of the best jiu-jitsu coaches teaching today and his students are amongst the top competitors in the world. All of this whilst competing himself at the highest level in competitions such as ADCC and Grapplers Quest for example. But for the time being, DeBlass seems content to keep his focus on his students rather than his own BJJ and MMA career and doing everything in his power so that they can thrive.